The RainCatcher, based in Santa Fe, New Mexico, specializes in making your world greener! 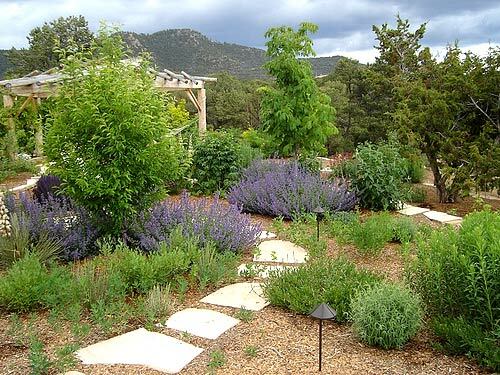 We offer landscaping and hardscaping, rainwater harvesting, irrigation and water recycling systems, permaculture landscape design, and much more. As a locally-grown company, we believe in working with nature to create sustainable environments, using smart solutions. The RainCatcher provides design and installation of all sizes of rainwater catchment systems, cisterns above and below ground, drip irrigation, erosion control, greywater recycling and more! Take a look at what we do, and contact us to discuss your project. My first contact with The RainCatcher was at a water forum held in Eldorado. I was so impressed with The RainCatcher’s presentation that I asked Reese if he would like to work with the Eldorado Community Center and design a water catchment system. The RainCatcher was professional and responsive to all of our needs and his crews were courteous and helpful. The project was done on time and within budget. Thanks RainCatcher! When we were planning our project, our landscape designer recommended The Raincatcher for our catchment system. We found the guys at The RainCatcher to be very honest, fair, and easy to work with. They did a great job on our tanks, and we ended up asking them to also do our stonework. We highly recommend The Raincatcher if you choose to harvest nature’s water elements. They installed our system after our well became unusable, utilizing our existing plumbing and adding other components. Their employees were conscientious and reliable, and our system works as they promised it would! We were pleased that we did not have anything freeze when it got down to 21 below zero – neighbors around us had quite a few issues! We are so pleased with the work that the RainCatcher has done at our home. They have transformed our yard into a beautiful garden that we can enjoy year round. The attention to detail used to create our catchment system was beyond professional. This company is the most honest, hard working, and talented group out there! I would recommend – and have recommended them – time and time again! Our experience working with The RainCatcher was exceptional – and exciting from the beginning. This company is very detail-oriented and in constant communication with the client and landscape designer. We were very impressed with the camaraderie and respect between Reese and his crew. Our finished patio is perfect. The rock work, exquisite.